Email us for information about our wild fruit. What's the difference between wild fruit and domestic fruit? Wild fruit has a stronger, fruitier taste, is usually more nutritious, and smaller. 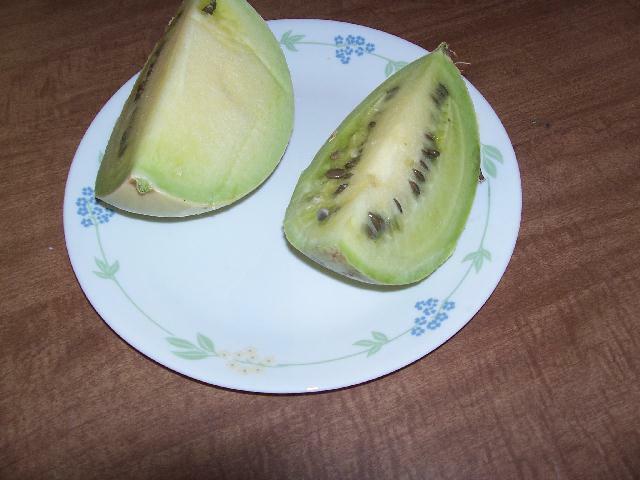 Domestic fruit is usually larger, but the flavor is sacrificed for size. Also, wild fruit isn't genetically modified, nor irradiated or treated with harsh herbicides and insecticides. Most of our fruits are wild fruits, not domestic fruit and are seasonal fresh. Some like the Palm are domestic but also very good fresh. Elderberries - click link for information and ordering. You have to buy a whole melon as we do not sell slices. Various sizes, various weights. Anywhere from 2 lbs. to 5 lbs. Wild Pantry is currently seeking teaberry suppliers. Please email us. Autumn Olive Fruit - available late summer - early fall - $25.00/lb, plus shipping (fresh), minimum order 1 lb.